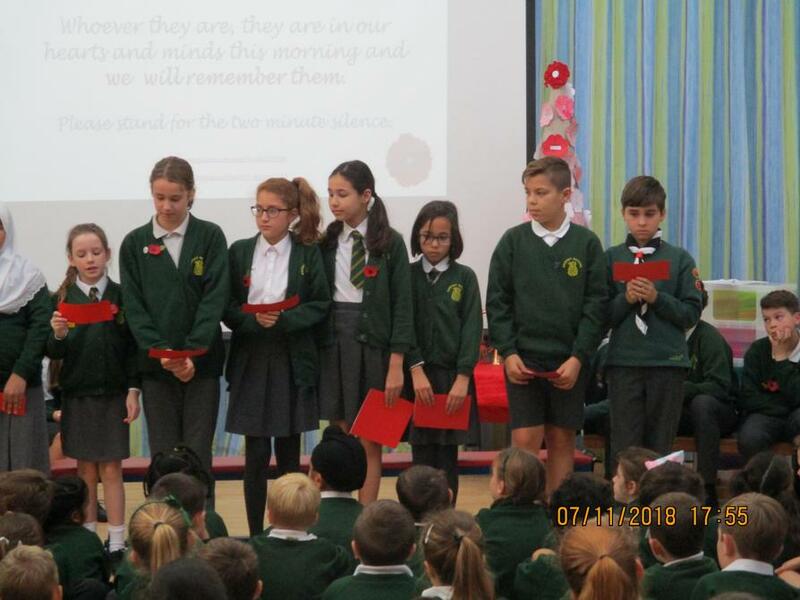 Year Six – Remembrance Assembly for Parents and Grandparents. 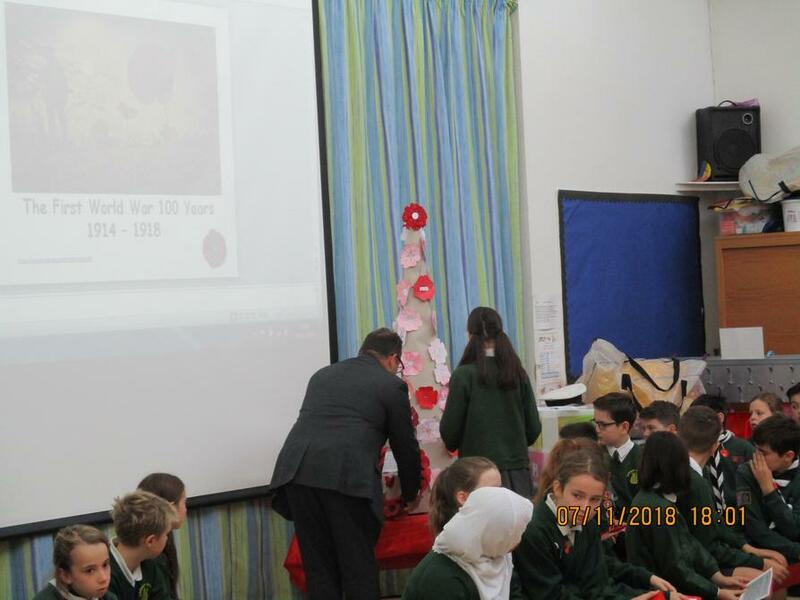 Year Six treated the whole school to a very moving remembrance assembly with a special guest. 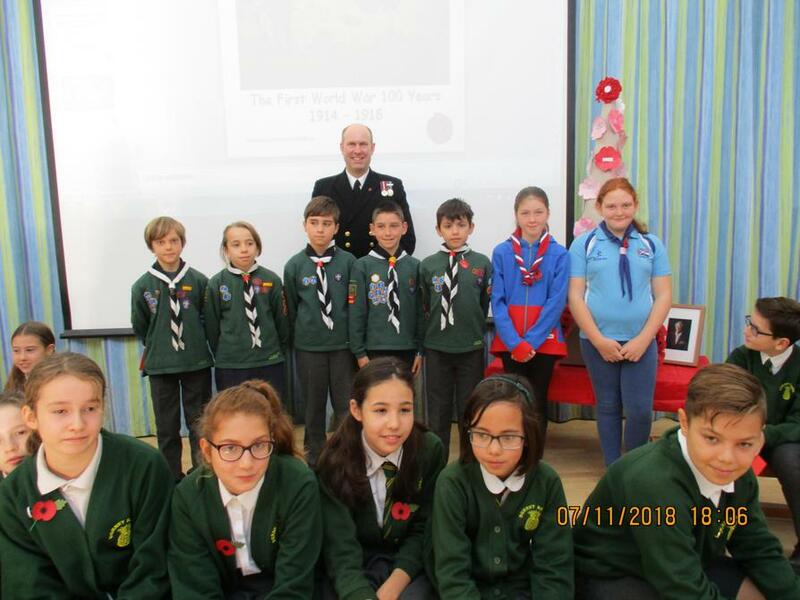 The 100th anniversary of the end of World War 1 will be this Sunday at 11.00 a.m. We are here today to remember all of those innocent soldiers who lost their lives and sacrificed so much in the Great War and other sad conflicts. The children recounted many stories and facts that they had researched. 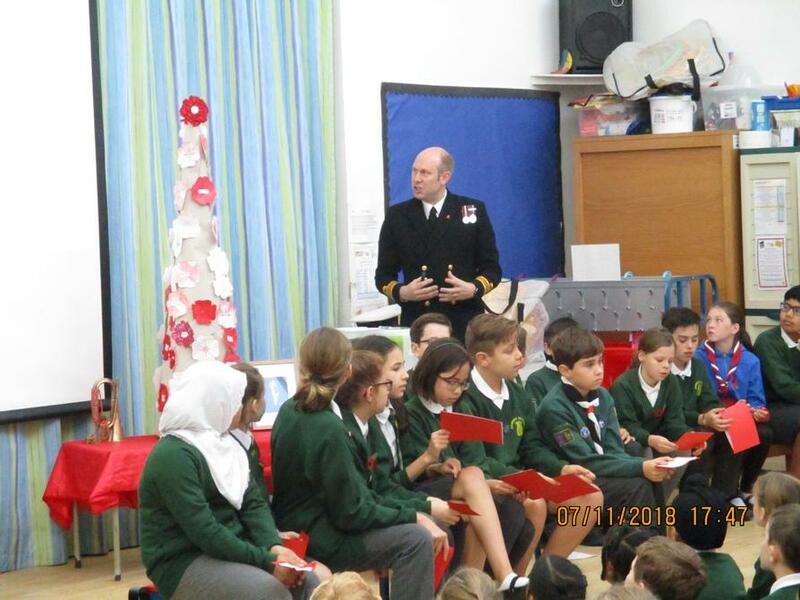 Special guest, Lieutenant Commander Bannister gave us an insight of Navy life in Logistics. How they are responsible for ensuring that everything runs smoothly for operations. Sustaining men and women across the world, every day is no mean feat. Ensuring they have what they need, when they need it from bullets to bed linen, to fuel and food. Certainly a time to reflect; and thank the armed forces for keeping us safe. We should also think of their families whilst they are away from home!